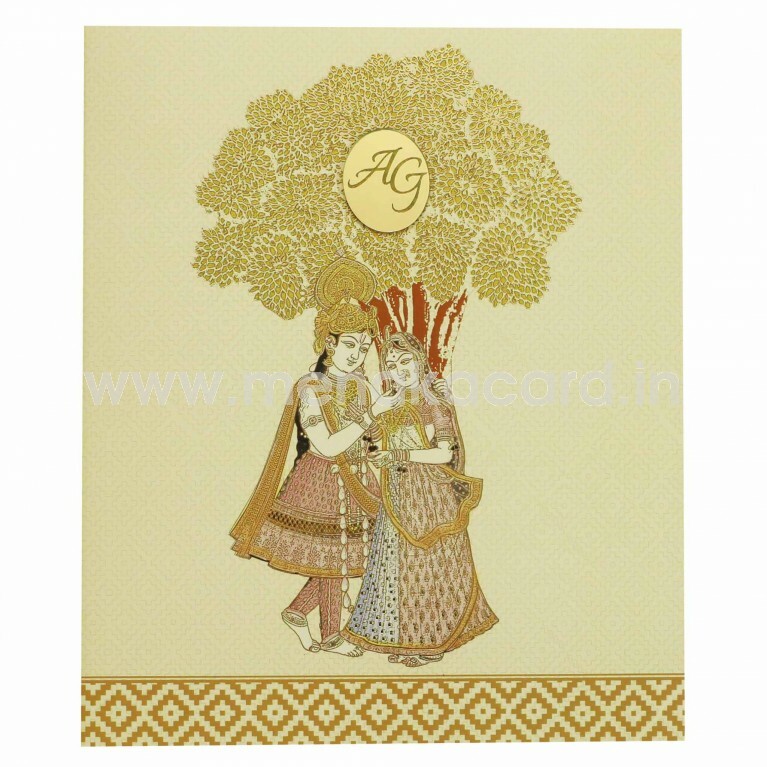 This Chic multi-colour book-fold card is made from an artboard material and contains an exquisite illustration of the divine couple "Radha-Krishna" underneath a tree embellished with gold foil designs that enrich the beauty of the card and has a beautiful mirror sticker on top for the initials of the couple. The background has a semi-traditional checkered pattern printed as a lancer and a strip at the bottom that adds a traditional touch to the card. 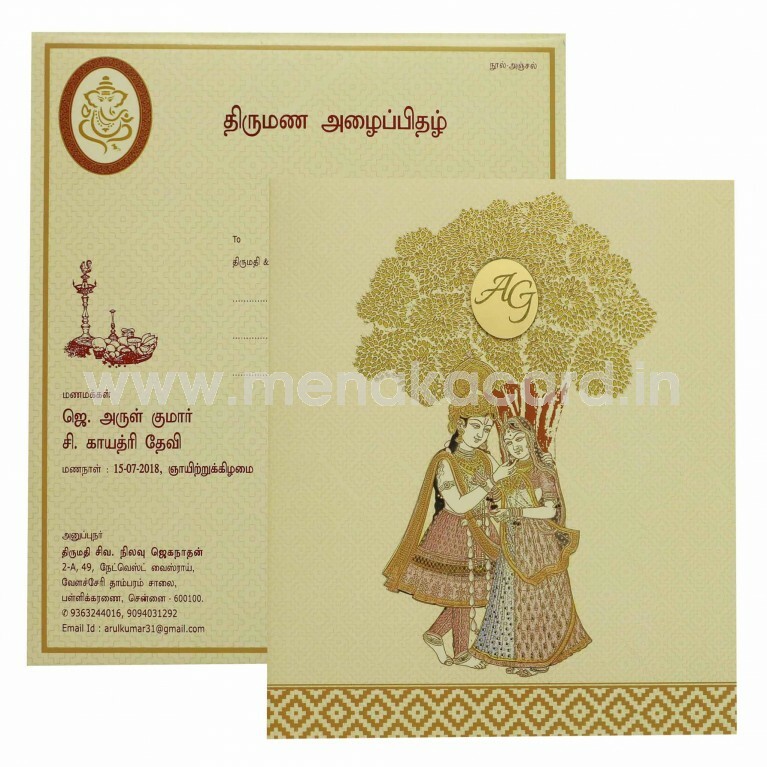 The creamish yellow insert sheet is stuck to the centre of the card with the content printed in maroon or caramel ink. 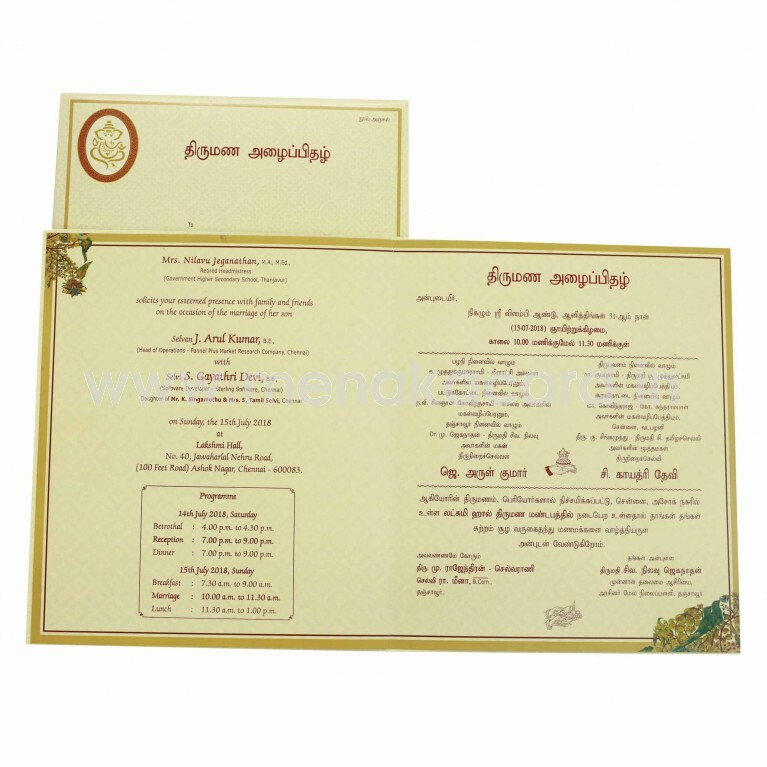 The envelope is made from the same material and has a more traditional touch with designs like the thamboolam set and bhaaraat etc. This card can be used for Hindu weddings, sadabishekams and sashitaphthapoorthy.